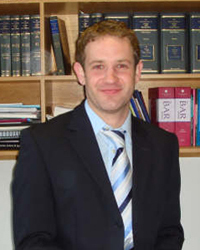 Simon has worked in the legal field for over 14 years. He joined Thakker & Co in 2005 as a Trainee Solicitor and he qualified in 2007 and since qualification he has progressed from being an Assistant Solicitor to a partner. Residential Conveyancing – sale and purchase of freehold and leasehold properties; re-mortgages; licences to assign; grants of new leases; deeds of variation of leases; licences for alterations etc. Commercial Conveyancing – grants of new leases, transfer of existing leases, sale and purchase of goodwill and fixtures and fittings. Family Law including divorce; separation; children matters; domestic violence and financial matters. Simon enjoys a good relationship with his clients and his colleagues.